What Did the Black Holes Say As They Merged? Posted in: BSU Journal Club. 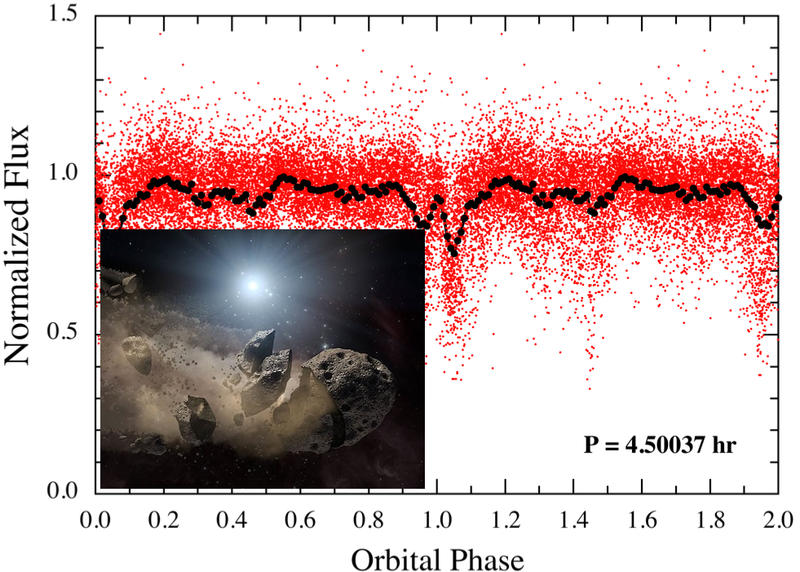 Tagged: astronomy, gravitational wave, time series analysis. Led by physics major Tyler Wade, this week’s astronomy journal club discussed the very exciting result from the LIGO collaboration, the first detection of gravitational waves. Einstein predicted the existence of gravitational waves back in 1916. (If your differential geometry and German are any good, you can read the original paper here.) Essentially, gravitational waves are a consequence of that fact that mass can distort the shape of space (that’s what we call gravity). The upshot of this is that any massive object in motion can excite gravitational waves, but only very massive objects (like, black hole-sized) produce waves big enough that we have any hope of measuring them. And so for the last few decades, the LIGO project, along with other gravitational observatories, has been monitoring the space-time continuum, looking for tiny distortions due to rapid, oscillatory motion of massive celestial bodies. LIGO attempts to detect these distortions by sending two laser beams, one each, out and back along two orthogonal 4-km tunnels. By measuring the travel time for each laser beam down each tunnel, they can determine their lengths to a ridiculous precision. A passing gravitational wave would VERY slightly modify the tunnel lengths in a particular way. How slightly? 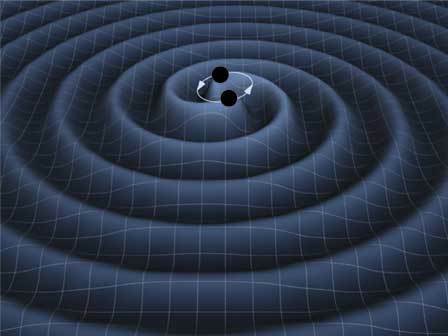 The signal reported last week by LIGO corresponds to a change in the tunnel length by 0.0000000000000000000001 meters. That’s the equivalent of a change in the width of the Milky Way galaxy by 1 meter. At two different observatory sites, one in Washington state and the other in Louisiana, the LIGO collaboration measured the distinctive signature of gravitational waves generated by two black holes, many times the mass of the Sun, as they completed their death spiral, merging into an even bigger black hole and radiating an enormous amount of energy. Why is this important? Well, seeing gravitational waves is not going to allow us to control gravity (at least not yet), and the fact that they exist is not surprising. Instead, LIGO has provided us a brand-new way of doing astronomy. It’s as if, up until now, we were doing astronomy colorblind, and suddenly LIGO built a color telescope. Of course, being able to see in color would open up vast and unexpected vistas on the universe. The detection of gravitational radiation is the same kind of revolutionary achievement. NYT has a really great animation and video describing how the detection worked, which I’ve embedded below. Posted in: Public Outreach. Tagged: aerospace, boise state, exoplanets. Boise State’s Institute for STEM and Diversity Initiatives is hosting Aerospace Day here on campus today, a day to explore the science, engineering, and applications of aerospace technology. I volunteered to give a talk on our group’s research looking for short-period exoplanets, and it seemed well-received. Lots of interesting questions afterward. I’ve posted the talk below. During my talk, I mentioned the planethunters.org website, where the public can help find new exoplanets using data from the Kepler mission. Thanks to Christine Chang Gillespie, Donna Llewellyn, and all the other organizers for the invitation to speak.